So, I know that Frugal Food is all about decently healthy meals..but here’s the thing. I had a sweet tooth and a REALLY bad one at that. I could have indulged a lot more, trust me. Last night, I was binge watching Scandal because I needed a break from the obsessive midterm season and decided to make peanut butter banana chocolate quesadillas. 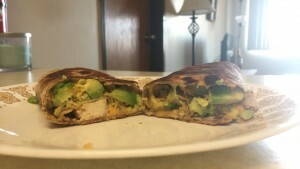 I love those three ingredients together and I love quesadillas. It was a match made in heaven. It’s a single serving dessert that you will want to make over and over and over. This is my new go-to guilty pleasure. Everything just melts all together, is super gooey (can be messy), and is everything it should be! It’s that time of year again: midterm season. DUN DUN DUN.. These next two weeks will be crazy with two research papers, four exams and loads of laundry to pack for spring break..joy. It can sound super easy to run to the vending machine during your six hour grind at the library or emotionally eat to cope with the stress. But, I challenge you. 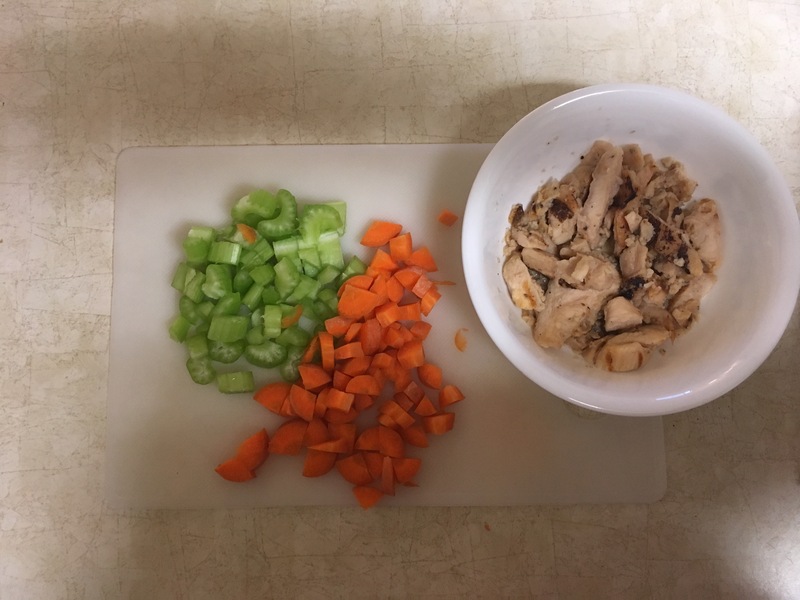 I have come up with five amazingly, healthy snacks combos that will fuel your body with good energy and nutrients, and your spring break bod can still shine! 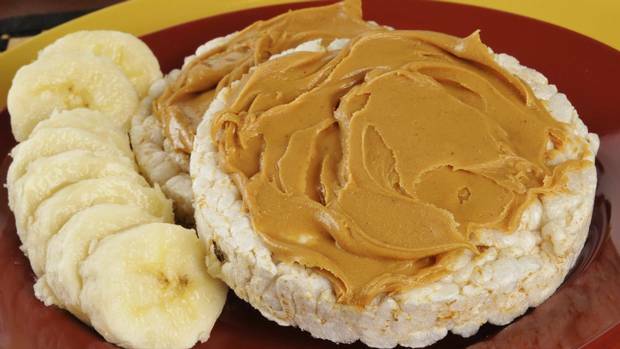 Rice cakes make a great substitute for bread on the go and it’s even better when paired with a nice source of protein! Eat with fruit to jazz it up. 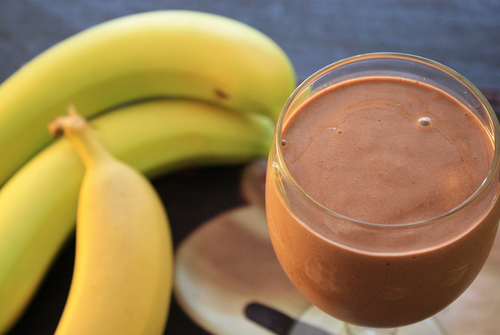 Bananas are packed with potassium and good carbohydrates, while chocolate milk provides protein and essential minerals! Plus, it’s chocolate. What’s not to love? 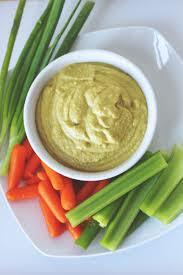 Although hummus can be dense in calories, in the right portion it is a great source of lean protein. Serving with celery or any other veggies can guarantee getting those greens in and their multiple vitamins! 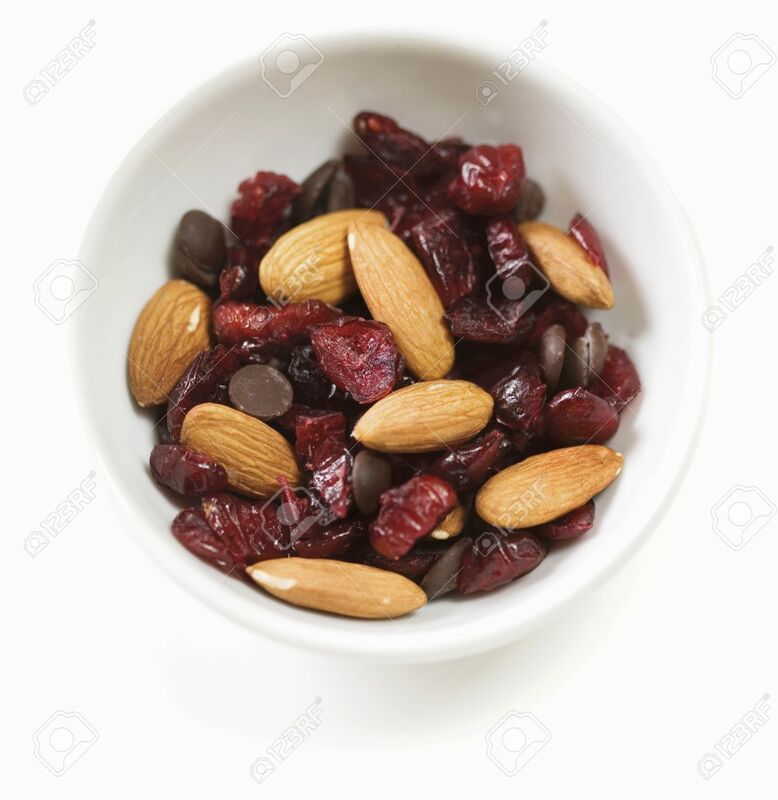 A quick on the go snack for minerals, energy, fats, fiber, protein, etc. Adding dark chocolate is recommended if craving sweets. 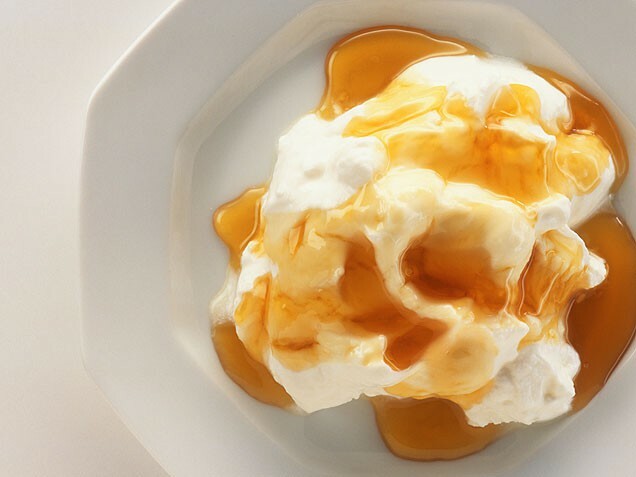 Honey contains sugar but also Vitamin C and folates, while greek yogurt improves digestion like no other and provides amino acids. Put them together and have a delicious combo. Hopefully, this helps to navigate the balance of nutrition and cravings! I’m all about avocados this week! There was a sale at Walmart..it was too good to pass up. It’s just a normal Saturday consisting of homework and trying to keep up with ridiculous amounts of reading. Anyways, I needed to take a lunch break and decided to try this yummy wrap. 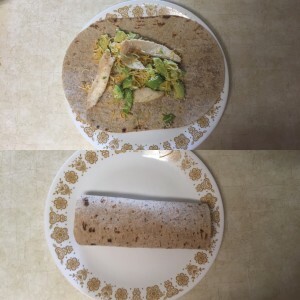 It only takes ten minutes to make and I mean..avocado..chicken..burrito. What’s not to love? 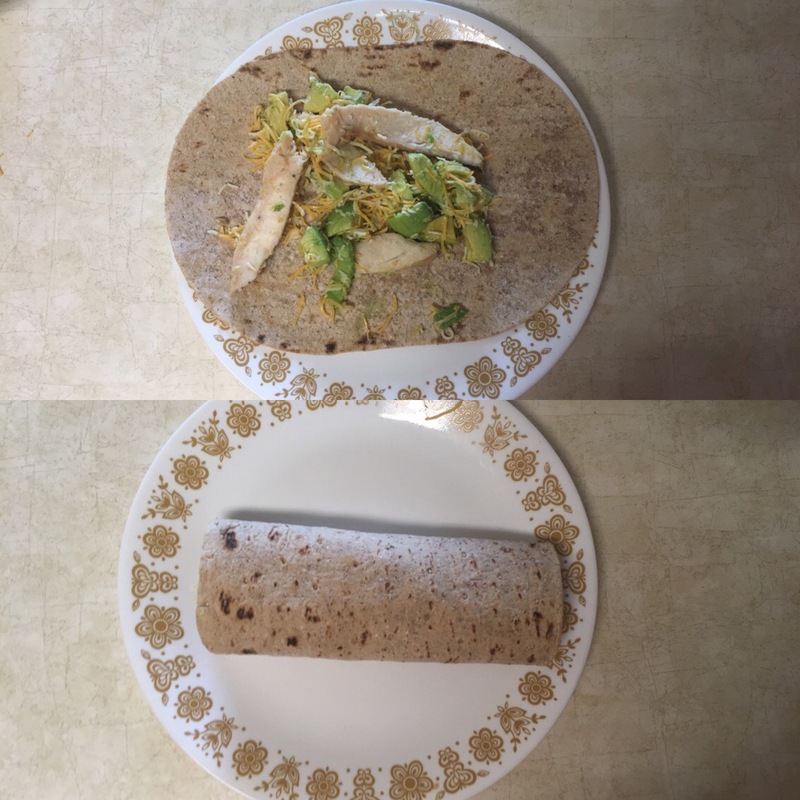 Overall thoughts: Oh my goodness, this burrito was so yummy that I want to make it again tomorrow. It’s fast, easy to make and has a nice overall nutrition value. If you’re one for spices, cilantro might be a nice addition to the flavor. I am considering making a bunch of these and freezing them for later use. If you didn’t already know: the freezer is your friend. Alright, the need to be creative and frugal was a must this morning. The fridge and pantry were pretty bare and I didn’t get a pay check until this afternoon. I had lots of odds and ends going on and I was trying to pull all of them together for a somewhat decent meal. It ended up being a combination of a sweet potato, an avocado and some eggs. 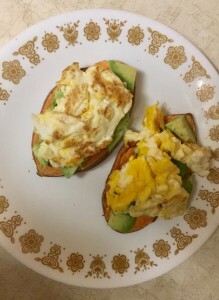 Put it together and you get..sweet potato toast topped with diced avocado and a scrambled egg. Yes, yes I know it’s oh so fancy. I must say this though; don’t knock it until you try it. 4. Layer it all together and enjoy! One word: yum. I would have never thought of a sweet potato as a substitute for bread, but I must say it will be done more often. Sweet potatoes are a great way to pack in fiber and other essential nutrients into a meal! 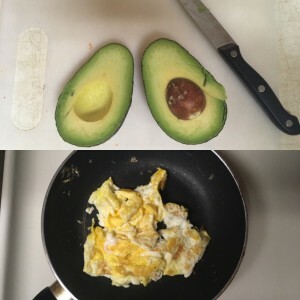 Top that with eggs and avocado and you’ll be full with energy for the morning. 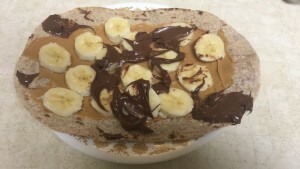 For the future, I am going to be experimenting with other toppings like peanut butter, fruit and more! Until then. Tonight is just one of those nights I have no energy to make dinner. Sometimes, all you need is hummus and chips to call it good. I figured I would take this opportunity to share some budgeting tips for grocery shopping because it seems a lot easier said than done. The biggest fear is wasting money on something as disposable as food. But, in all reality if you’re just clever about it, you’ll walk out of Walmart feeling not so broke and getting a money’s worth. So, here goes nothing. I know this sounds very basic, but this is actually very effective. Plan out what meals and snacks you want to make for the week and make a list of every ingredient needed to make them. This way when going shopping, there is no need for wandering aimlessly and random impulse buying. Get in and get out. When making a list, do know that making substitutes can be very effective, especially when it comes to protein. For example, ground turkey is cheaper than ground beef and what to skip fresh meat altogether? Try beans, lentils and even mushrooms! This tactic can be used with any expensive ingredients. By shopping once a week, you will be saving loads of money. When people don’t make a list, they usually forget things, which causes them to go back to the store a few times and this results in buying multiple things that you do not need. Just shop once a week and get it all done. I thought this was actually very interesting, but ever notice how the most known and most expensive brands are at eye level? It’s for a reason. Since it’s at eye level, it’s the first thing consumers see and therefore the first thing consumers reach for and buy! So, look around and scan the prices all over the shelf. Because guess what? There is little to no difference between Prego and Great Value marinara sauce. Those a few easy tips I thought could be put to good use! I am hoping to share some more through out the weeks. Alright, on this fine Tuesday I did something I have never dared to do..use veggies to make a pizza. I found this recipe on Pinterest that is very intriguing to say the least: zucchini pizza boats. Think a regular pizza but flour dough substituted with zucchini. 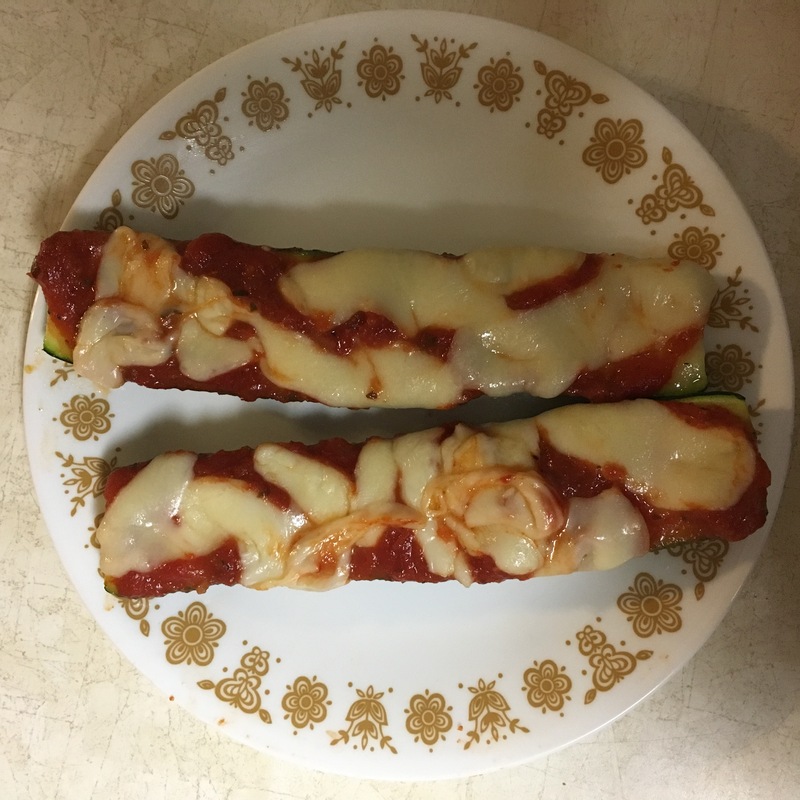 Personally, I was skeptical, but if I like zucchini bread then what about and why not zucchini pizza? It was a must try. And substituting carbs for a veggie..you know what that means. Yup, a pizza that is easy on the waistline. I’ll reveal my initial reaction in my overall thoughts! But, anyways to say the least this recipe is relatively easy and only requires 4 ingredients (a fifth is optional). It is also dirt cheap to make for one person. LOVE THIS. It’s a win win situation: cheap, healthy and absolutely delicious. The pictures really don’t do justice at all. The zucchini makes for a nice, crunchy texture. BEWARE..although these are very good, they are also very messy. Keep those napkins close. But, all in all a guilt-free pizza. What’s not to love? The weather is absolutely gorgeous out today and it’s beginning to look a lot like spring..in February. Nonetheless, it makes me really want to go on a hike or something. I will definitely have to make some time for that. Anyways, I was raiding my fridge and pantry trying to figure out what to munch on for a snack. I then discovered that I had neglected to eat the rest of my bananas before they went very, very…very overripe. I was trying to figure out what to do with them. Bananas can be used for so many substitutes: eggs, baking oils, etc. So, I decided on making some chocolate chip cookies! 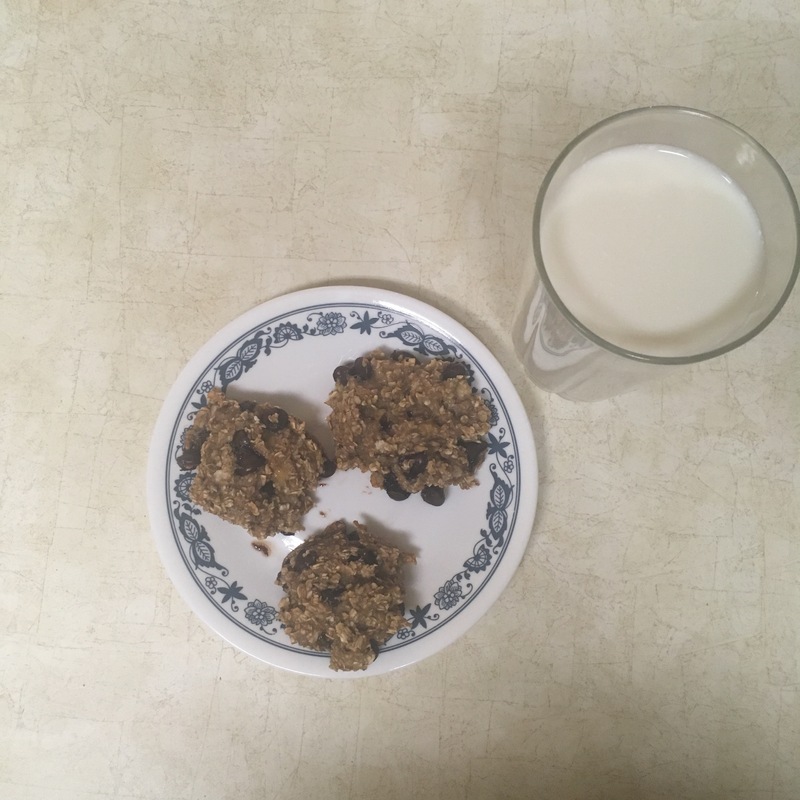 Keeping in mind, we are supposed to keep things frugal and outside the box, I am putting my own little spin on your average chocolate chip cookies. 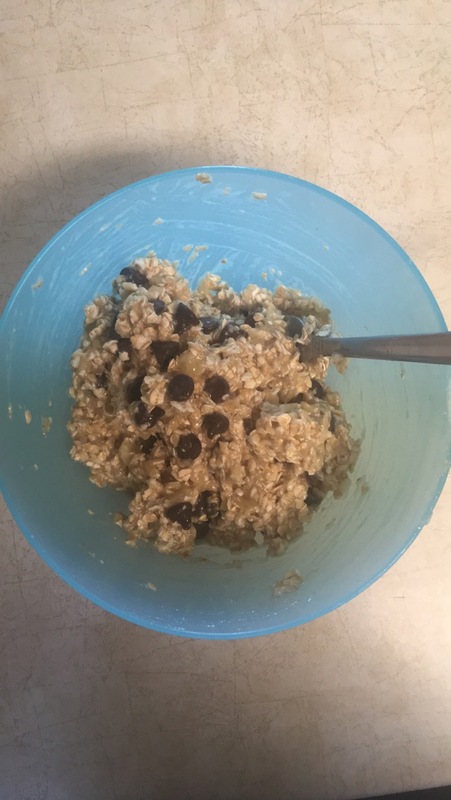 Only 3 ingredients for multiple servings! (12 cookies). These cookies are actually really good! They’re not messy, but still gooey. 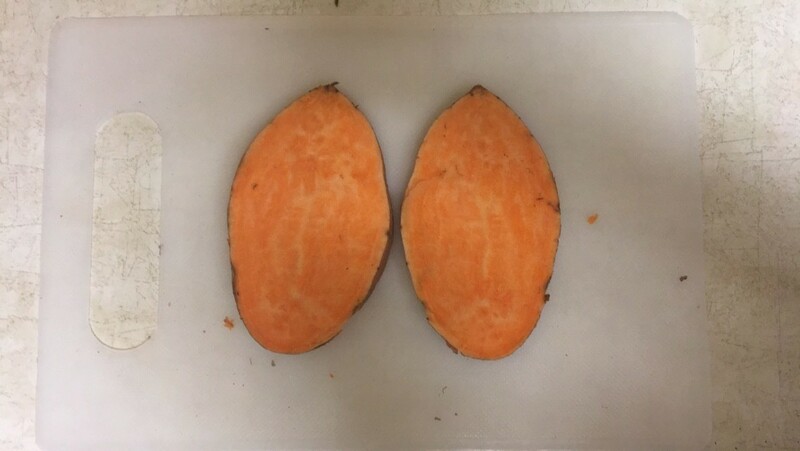 The texture and appearance is very similar to a monster cookie, which is something anyone can appreciate. The banana comes through with the taste of chocolate, making it sooooo delicious. A recipe for the books! Unfortunately, over the weekend I caught what is going around on campus. It seems to be a pretty nasty cold: fatigue, cough, sore throat and LOTS of congestion. I really tried to fight and nip it in the bud with Emergen-C and fluids, but here I am, miserable with three exams to look forward to. And just like the cliche, I am finding comfort in some chicken noodle soup, specifically my mom’s. 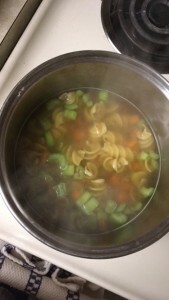 But, I decided to tweek my mom’s recipe into a five dollar version and see what happens. 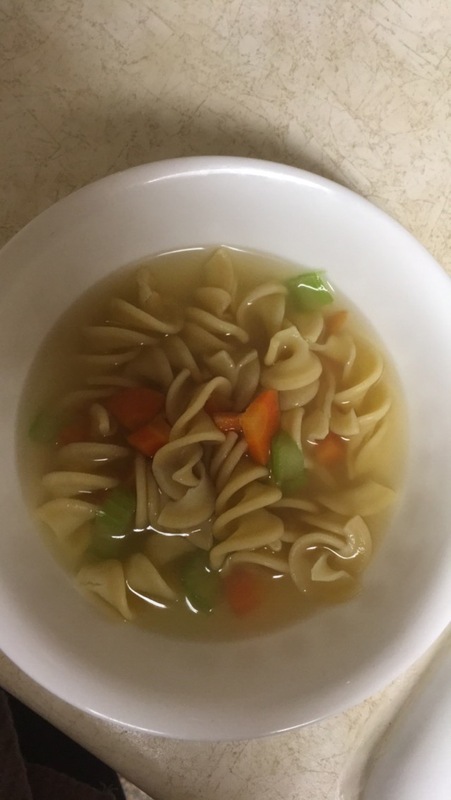 This recipe is simple, fast and soothing, something any sick person can appreciate. This recipe is also a bang for your buck because it makes a few servings. With that being said: the freezer is your friend. Overall Thoughts: This soup definitely does the job in terms of helping a sick girl out. While making my way to Walmart, I did realize there are several different kinds of chicken broth with varying prices. I recommend getting the small can of Swanson. It’s low price and has 3 servings. Also, when shredding the chicken, don’t be afraid to have larger portions! 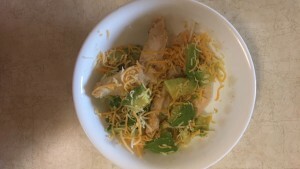 I shredded the pieces a little too small and you can’t even see the chicken in the soup. It’s in there..promise. Also, egg noodles are cheap, amazing and I love them. So, just like any average Friday afternoon I was spending my time on Pinterest when I really should be studying for a Chemistry exam. I know, I know..I really shouldn’t be doing that. But, IF I hadn’t been doing so, I would not have stumbled across this AMAZING recipe. 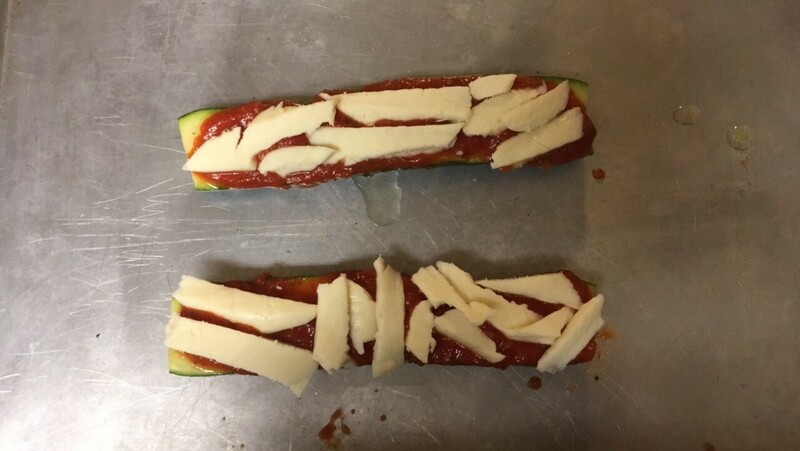 The best part was that I had all of the ingredients for it. Score. After a stressful week, I rewarded myself with a Caprese panini. 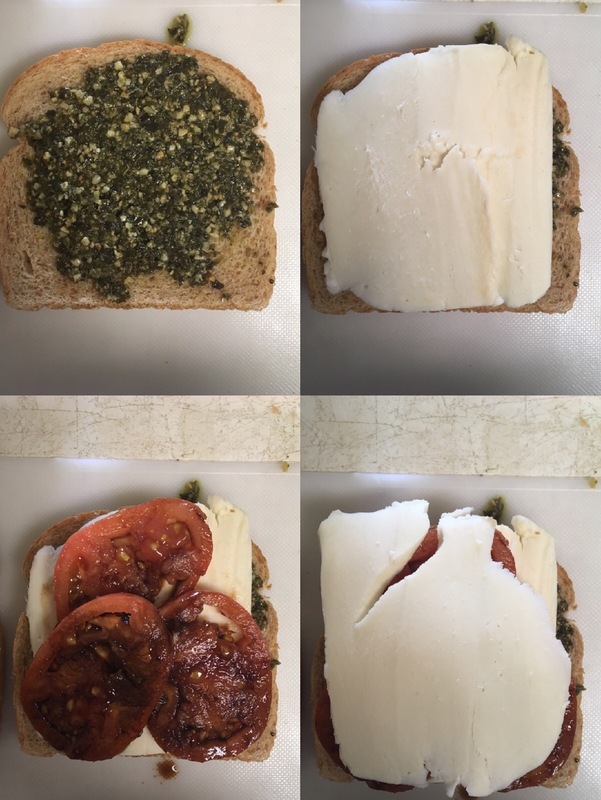 Trust me it tastes a lot like Caprese, but it’s in sandwich form so it’s ten times better. If you’ve never had Caprese then you absolutely have to try this recipe and if you truly have no idea what I am talking about..
At a serving perspective, this dish runs pretty cheap. But, I do understand that not every person has a jar of pesto laying around. If you where to go to Walmart or another grocery store to get all of these ingredients, you’re looking at about 7 dollars in expenses. Still pretty acceptable. 3. 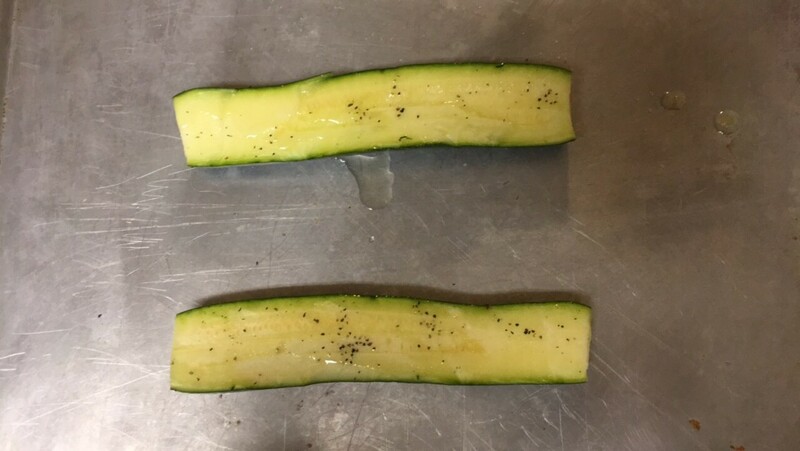 Heat skillet pan to a medium heat and cook each side of the sandwich for 2-3 minutes or until golden brown. 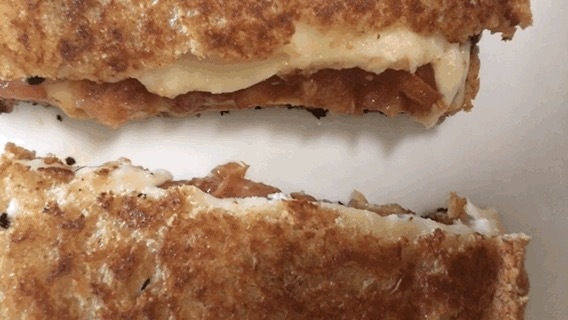 Overall Thoughts: I could eat this panini for any meal of the day. We all have those mornings when we just aren’t feeling it. You cringe at the thought of three back to back lectures, desperately needing some morning coffee and the last thing you want to do is venture into the cold. On days like these, it’s always a good idea to have pancakes for breakfast! 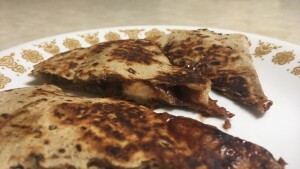 But, not just any pancakes; 3 ingredient pancakes. This is definitely one of the easiest recipes to make for breakfast. It’s the perfect breakfast: fast, super easy, nutritious..and under 2 dollars a serving. 1. Combine 3 ingredients in a mixing bowl. 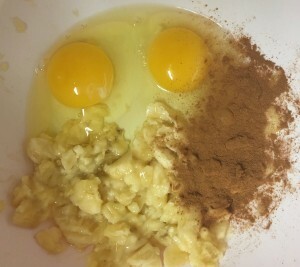 Mash up the banana consistently and mix together well. 2. Grease frying pan and pour batter out in small portions. I stress small portions because these pancakes a litter flimsier than some. With that being said, about a minute on each side. 3. 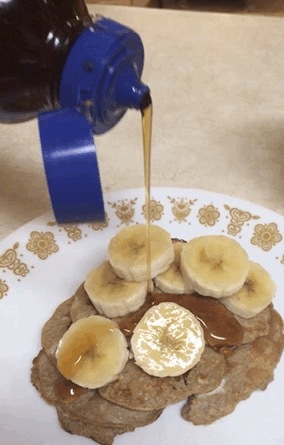 And just like that, you’ve got some banana pancakes. Serve with syrup if desired and morning coffee. 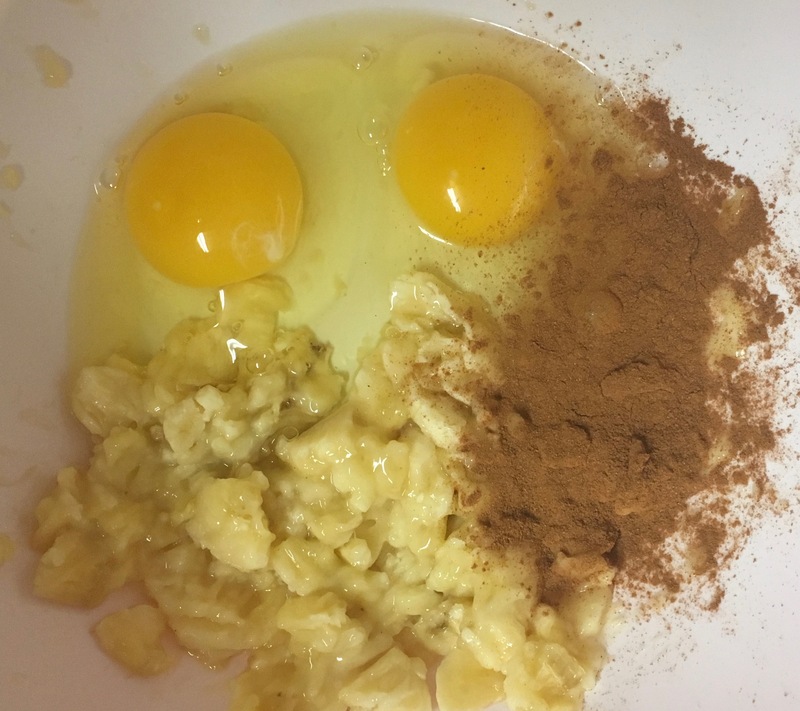 These pancakes are very unique in terms of looks, but nonetheless this recipe is a keeper. 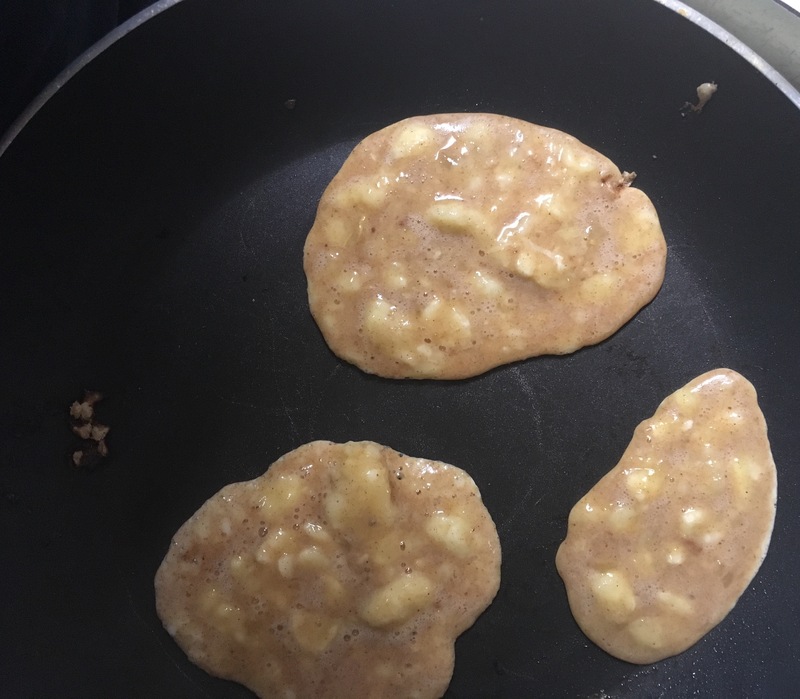 These pancakes are delicious, insanely cheap, flourless and are something to make frequently! They can be served in so many different ways as well. With bananas, nuts, Nutella, jam, syrup and the list goes on and on. All ingredients were bought at your average Walmart, so yes, this recipe truly is a dollar fifty per serving. With time, it will be proven that a college student can make anything on a budget. Hopefully, these pancakes are enough to turn a Monday morning around!